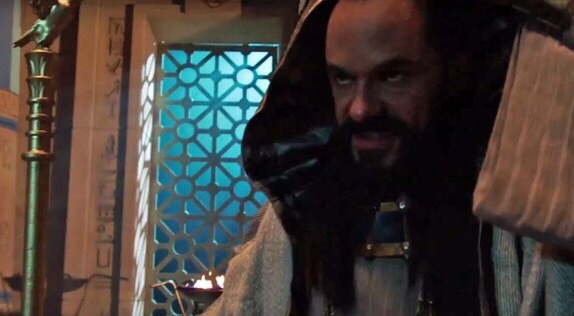 This week’s Legends of Tomorrow starts right were it left off last week. The team reeling from the lost of Carter with Kendra not too far behind. With Ray and Stein working to save Kendra that left Rip Hunter and Sara to find a way to get Vandal Savages funds. While this was going on Heatwave, Captain Cold and Jax went out to steal a jewel for a reason that is more than meets the eye. The idea was to bankrupt Savage in the past to slow him down in the future. We also were treated to a little backstory of Rip Hunter and why he may have went to the team. The Rip Hunter and White Canary expedition was fun as we got a great fight scene in the bank. It’s was very cool to see Sara not only quote Ra’s al Ghul but also use what the league taught her to figure out that it was a trap. We also found out that even after Constaine saved her she still has the bloodlust. Thanks to an interrogation we find out that Savage has Carter’s body and the team has to get it back to give him a proper burial. The scene in which we find out what Savage is doing with the body is downright creepy. It was also dark as Savage tells Hunter that he looks forward to killing his family. The ending with them having a funeral for Carter was another great moment for the show as it shows how in such a short time how unified this team is. Palmer and Stein’s interaction this week was also very good. The banter between them was excellent as Stein constantly insulting Palmer until his lost faith in himself. 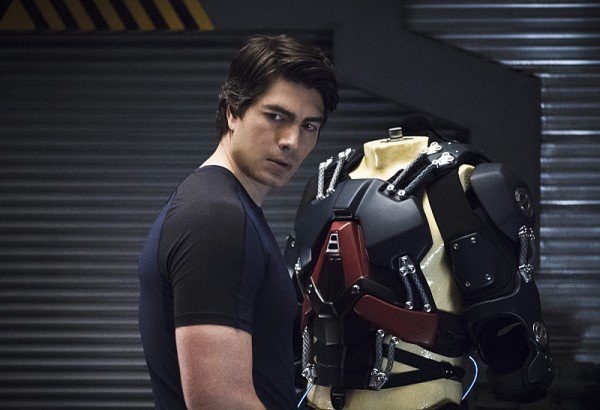 As usual Brandon Routh shows his acting chops as someone who doesn’t want to fail. Someone who lost someone who meant the world to him because he wasn’t strong enough and doesn’t want to feel that again. It was also fitting that Stein lied to him to get him to get him back into the game. Stein has a problem with manipulating to get what he wants, it’s only a matter of time that this backfires on him. 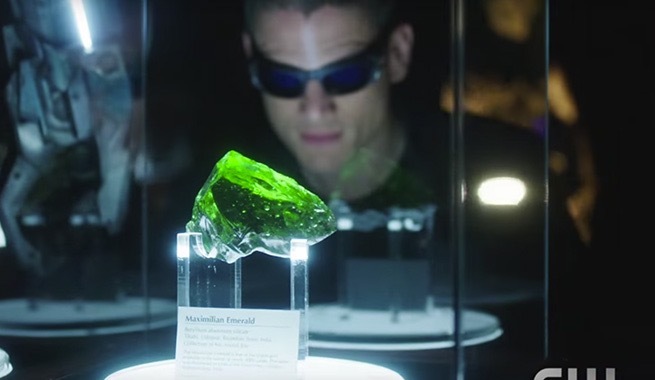 The highlight of the episode was Captain Cold’s story. It was very touching to see that he was stealing the jewel not for self greed but to save his family. The talk his gave to his past self was not only a touching moment but a look at what makes Snart ticks. His father was a monster to his family but didn’t become that until he went to prison for five years. This episode made me remember that Wentworth Miller is such an excellent actor. I hope that the show gives him more of these type of moments in the show.